WHERE: The Queen Mary in Long Beach, California. It’s that time of the year again! It’s pretty much one of the few car shows I get excited to go to. 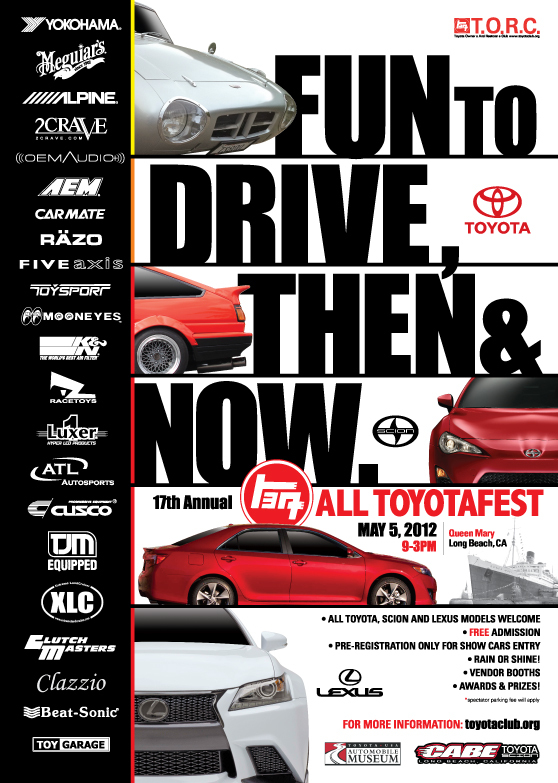 It’s the 17th annual Toyotafest in Long Beach! Hope to see some of you SoCal’ers there! This entry was posted on April 25, 2012 at 12:07 PM and is filed under Cars, PROLIFIK-ONE Announcement with tags Long Beach, Queen Mary, T.O.R.C, TORC, Toyotafest, Toyotafest 2012. You can follow any responses to this entry through the RSS 2.0 feed. You can leave a response, or trackback from your own site.